Workers who clean retail stores around the Twin Cities are staging their second strike this year over what organizers are calling unfair labor practices. 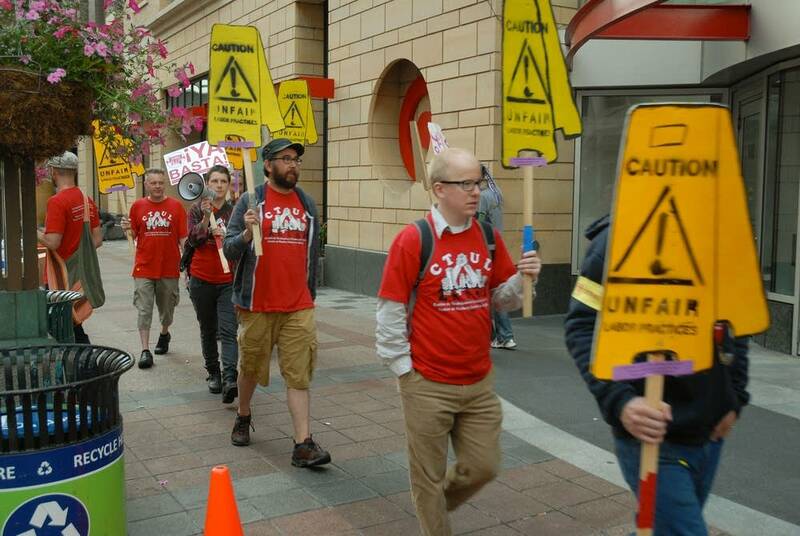 Dozens of people joined a picket line in front of the Target store in downtown Minneapolis, early Tuesday morning. Organizers from CTUL, who say they advocate for workers rights, say the protest is on behalf of those who clean stores for Target, Home Depot and other retailers. They say the pickets are part of a two-day work stoppage. Spokesman Brian Payne said about 30 workers in two dozens stores around the metro are participating. Payne said cleaning companies are thwarting efforts to among cleaning workers to form unions. He also said store cleaners are underpaid and overworked. The first strike happened in February. Cleaning companies said in February that only a handful of workers actually joined the job action, and that retail operations were unaffected by the strike.